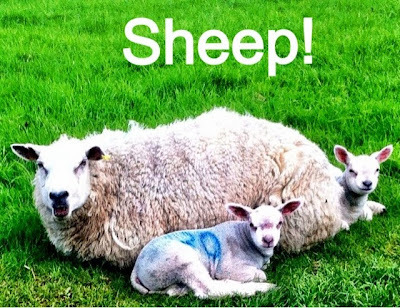 Word of the Week: Sheep! I knew this week's word would be something Derbyshire-related as we've spent the week here, in a beautiful part of the country; however it wasn't until yesterday that my word dawned on me. 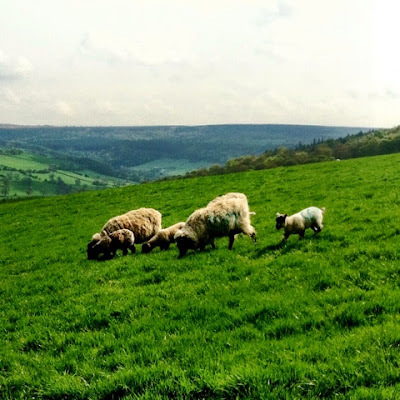 I'd been thinking along the lines of rolling hills, fresh air, the greenness of the grass but knew these weren't right - not least because they weren't one word at all! 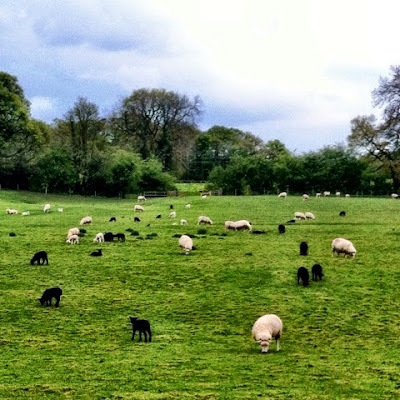 Anyway, sheep is the right word for me this week. We've seen so many of them mothering and nursing their lambs, which in turn have been apprehensive and inquisitive of us at the same time! 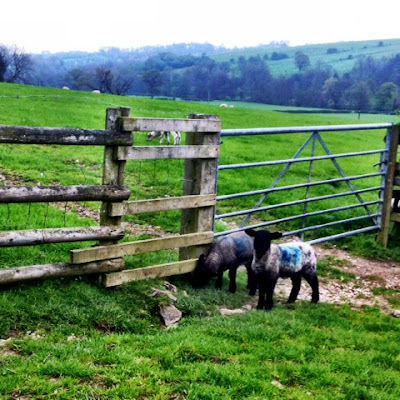 Tuesday sheep: No sheep photos from our day at Chatsworth House, but I'm counting the one that stood in front of us as we drove through Chatsworth Park. I think we may have been there for some time if it wasn't for the bus approaching from the other direction, which prompted the sheep to reconsider! 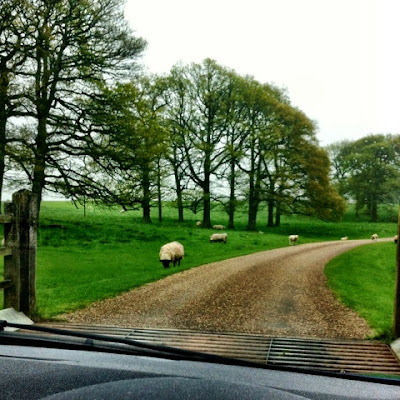 Thursday sheep: Hardwick estate sheep contemplating a jaunt into the road! I rest my case.... Baa! 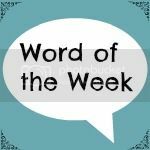 other Words of the Week.